After years of discussion, Amtrak announced they have reached a tentative agreement to allow Metro-North to expand New Haven Line commuter service from New Rochelle to New York Penn Station. The plan calls for new Metro-North stops in Co-op City, Morris Park, Parkchester/Van Nest, and Hunts Point, and then using the Hell Gate Bridge to connect with the Long Island Rail Road for the run under the East River to Penn Station. 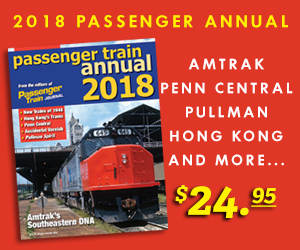 Located on Amtrak’s Northeast Corridor line, these stations were previously served by New Haven local trains until 1931, and some New York, Westchester & Boston trains until 1937. “We are pleased to have reached a preliminary agreement that will allow for MTA to advance for design and construction of improvements on Amtrak’s Hell Gate Line, for the eventual operation of new Metro-North commuter rail service into New York Penn Station and construction of four new stations along the line,” Amtrak Senior Executive Vice President Stephen Gardner said. The Metropolitan Transportation Authority anticipates the start-up of new service by 2022.